It is a significant moment when your business is ready to hire its first employee. Although hiring an employee often has tremendous benefits – particularly the opportunity for growth – it is also a significant financial investment. In addition to the financial costs of hiring an employee, you will also need to follow a strict regulatory code, and any missteps could expose your company to employment lawsuits and potentially fines and higher taxes. For these reasons, it is always in a company’s best interest to consult an attorney before hiring their first employee. Below are some steps your company should take when hiring its first employee. One of the first steps you need to take when hiring an employee is to set up employee policies and to make sure that these policies comply with local, state and federal laws. You’ll have to figure out details like how often you want your employee to be paid, how much time off the employee should get, what holidays (if any) the employee will have off, and what benefits the employee will receive. Many of these areas are highly regulated. For example, many cities in California, such as San Francisco and Los Angeles, have their own Paid Sick Leave Ordinances, which demand that all employees, regardless of company size, give a certain amount of paid sick leave to employees, and these provisions differ from those required under California state law. Before you hire an employee, you should make sure you will be complying with these (and other) provisions. Additionally, you should make sure that your employees are appropriately classified as exempt or nonexempt, and if you are hiring nonexempt employees (employees who qualify for breaks and overtime), that you follow your state’s wage-and-hour laws. Setting up the general framework for your employment arrangement is a crucial step in bringing on a new employee. I would advise most companies to consult an attorney to draft their initial offer letter. However, there are also plenty of resources online where you can get template offer letters, which have already been drafted, such as through UpCounsel. First-time employers often believe that an offer letter should contain very specific information about what the employee’s job will entail, the company’s employment policies and information about the company itself – but this is seldom the case. Rather, offer letters are typically only 3-5 page documents that outline the employee’s title and pay and contain provisions that protect the company. Position – This should be one or two sentences stating whether it is a full-time or part-time role and the employee’s title. Duties – Although some companies initially want a very specific definition of the employee’s duties, something more broad, such as “Employee will be responsible for such duties as normally associated with such position,” are often preferable, as it gives the company more latitude to change the employee’s role as needed in the future. Compensation – Here, the company should list whether the employee will be paid hourly or salary, and let the employee know that they will be paid on the company’s regular payroll dates. In California, for example, the state law is that most employees must be paid either bi-weekly or semi-monthly, so it’s important to discuss how often to pay your employees with your attorney. Stock/Equity Information – If, in addition to pay, you are offering your employee equity (such as stock options), you’ll want to generally state the terms in the Offer Letter, with more substantive terms outlined in a separate document, such as a Stock Option Agreement. If you are hiring an employee and giving them stock, I would especially recommend working with an attorney, since a mistake here could have severe consequences later on. Company Policies – Rather than stating what the company’s policies are, it’s better to put in a short paragraph stating that the employee will be expected to abide by the company’s standard rules and policies, citing to an employee handbook if you have one. I-9 Condition to Employment – Making sure you state that as, a condition of employment, the employee must sign and return an I-9 Immigration form, providing sufficient documentation of their employment eligibility in the United States. Background Check – There are specific requirements related to background checks, with federal, state law, and local law often having different standards. For example, Los Angeles just implemented a “Ban the Box” ordinance, limiting companies from conducting certain types of criminal background checks on perspective employees. This provision also relates to reference checks, so, generally, you want to make sure you are getting authorization from the employee to reach out to previous employers, as well as to make sure they have your permission to run a background check. At-Will Employment Relationship – At-will employment is the cornerstone of the American workforce. In brief, it means that you can fire an employee at any time, for any reason, except if that reason is them being in a protected class. On the other end, it means that employees can quit at any time, for any reason. You want to be sure that you explicitly state that the employment arrangement is at-will, not only in the Offer Letter itself, but also in other documents, like the Employee Handbook and Confidential Information and Invention Assignment Agreement. Entire Agreement – This clause, often found towards the end of Offer Letters, basically states that the Offer Letter, often along with the Confidential Information and Invention Assignment Agreement, constitutes the entire agreement between the employee and the company, as related to their offer of employment. This is huge, because this clause can prevent an employee from later claiming that they were promised something not contained in the offer letter. For instance, an Entire Agreement clause can prevent an employee from arguing that the CEO promised the employee a $50,000 bonus if they stayed on for 6 months – if this provision isn’t in the Offer Letter itself and there’s an Entire Agreement clause, the employee’s claim that they are owed that money would likely be rejected. The above is just a sample of some of the provisions that should be an appropriately drafted Offer Letter. 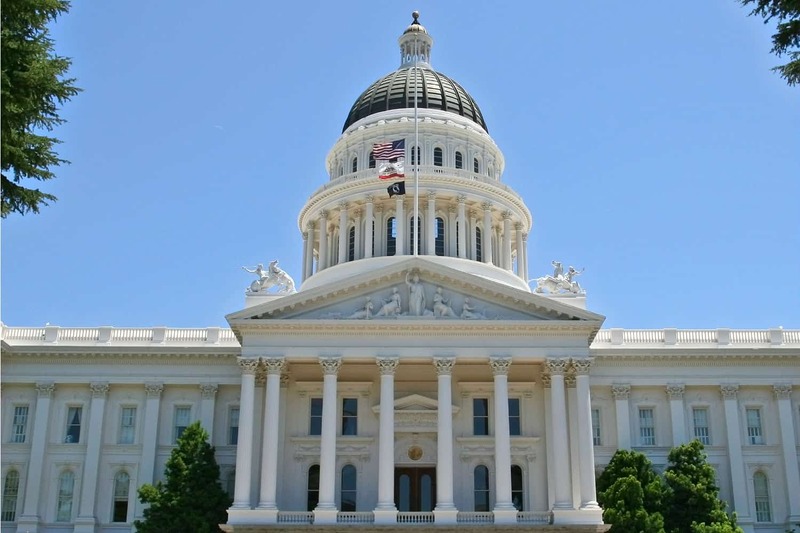 Other provisions to consider include Arbitration provisions and limits on outside activities while the employee works for the company (such restrictions are sometimes limited by local laws, such as in California). A Confidential Information and Invention Assignment Agreement (sometimes called a Proprietary Information and Invention Assignment Agreement) helps to protect your company’s confidential information. Some businesses, such as a local corner market, may not need such an agreement, but most businesses would benefit from having their employees sign some kind of confidentiality agreement. Generally, it applies to all information about your company, its customers, and vendors which is not known to outside third parties. This can include things like customer lists, sales strategies, and other information which gives your company a competitive edge. Additionally, you want to make sure that your employee’s work, including inventions they create, while working for you belongs to the company. Note that some states, such as California, limit the inventions you can claim ownership of, so you will want to consult with a lawyer to ensure your agreement complies with local and federal law. The Confidential Information and Invention Assignment Agreement is usually referenced in the Offer Letter, but is usually best setup as a separate document. Although not an exhaustive list of the steps your company should take in hiring a new employee, these steps are crucial to bringing on your first employee and should help set you up for a positive experience.